This quick and easy way to estimate your horse or pony's weight is ideal for calculating medicine quantities as well as monitoring dietary management and weightloss. 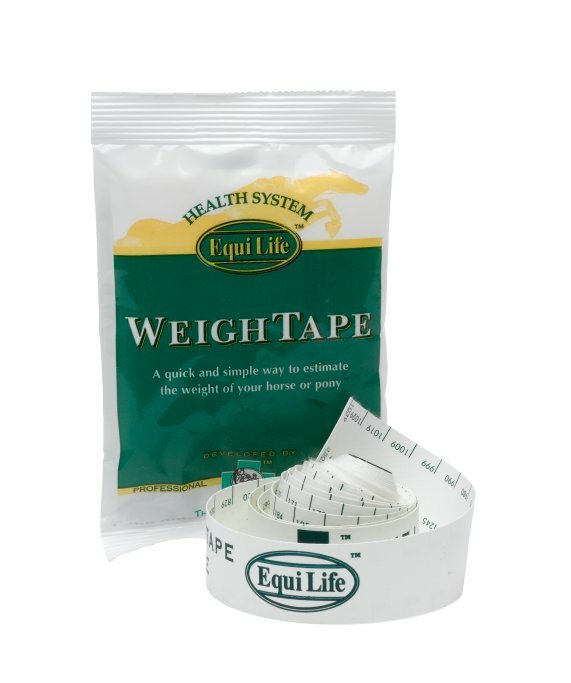 Below are some recent questions we've received regarding Equi Life Weigh Tape, including answers from our team. How many kg does this tape go up to? My current tape only goes up to 600kg and my new shire is off the chart! The tape does up to 1030kg.